Living in a small town has its advantages and disadvantages, both administratively and financially. As statistics point to an increasing trend of migration to urban centers, smaller communities face ever-present challenges. Identifying and addressing the needs of small communities is not a particularly simple task. The definition for the population threshold of a “small city” may vary greatly; smaller communities may face relatable challenges. Small communities struggle to keep up with local administration and requirements. Some have mainly a one-person clerk’s office or elected officials who work full-time beyond their commitment to the city. Others have a tough time filling elected official seats. When jurisdictions are very small, services are often also very limited. Transparency is key to both the community understanding its own limitations and where spending is prioritized. Often, the small community may have a hard time marketing itself due to the limited services it can afford. However, local grassroots efforts to share new advancements, projects or concepts the city is committed to can be helpful. Economic development strategies can be critical for cities’ well-being when planning for the future. The further the distance from regional centers and economic drivers, the more difficult it may be to boost economic activity. Careful planning to build a stronger economy, support the history and character of the community and make it a place where people can thrive are critical. Some small communities have difficulty meeting the infrastructure needs of potential new development. Regulation can be a particularly tough barrier in small communities. Transportation, logistics, water and wastewater facilities, etc., may need to be expanded to help grow the community. With the cost of government rising alongside other economic drivers, small communities may have difficulties keeping up. 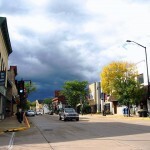 Trends in many states indicate that small towns are generally feeling at least some financial strain. Very small communities are pushed near the brink of dissolving as they are unable to continue basic local operations. Plan for the future. City officials can prioritize and plan now. By exploring options, risks and requirements, and discussing the current status, the city can plan for its continued growth. A basic strategic plan in even the smallest of cities is helpful. Make use of its geographic/regional advantages. If the town has advantages, such as a nearby freight line, transportation hub, major city, etc., these may be marketable for growth. Finding what is marketable can make smaller communities destinations for recreation, tourism or other activities. Seek grants. Small cities may be able to obtain grants. Though writing and managing grants does take some time and effort, grants can help the efforts of small cities. Share. There may be great opportunities to enter into mutual aid agreements and shared services with neighboring communities. Additionally, there has been an increasing trend in communities collaborating amongst the public, nonprofit and private sectors. Always consult legal assistance when needed. Use state or regional resources for information and advice, when needed. Explore partnerships with local colleges or universities as well. Advocate. Join the state’s municipal league, council of government, foundations or other organized local efforts to advocate for the small city interests in the state. Reaching out to other local partners can help magnify the “voice” of smaller communities. Also, make use of advancements in technology to communicate the positive steps forward the city is making or considering.